Nikna is a clean and Modern HTML Template. Nikna is best suited for the corporate website like Financial Advisor, Accountant, Consulting Firms, insurance, loan, tax help, Investment firm etc. This is a business template that is helpfull for online presence for Corporate Business and Financial Firms. 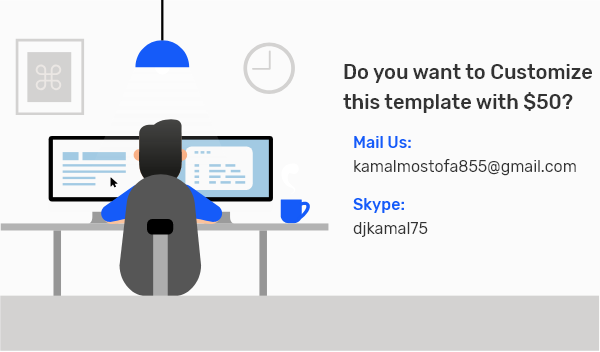 This template comes with necessary features for your online presence like the portfolio, blog, testimonial, and personal profile page etc. Nikna can be a great choice for your online presence. It is a super responsive and easily customizable template. NIKNA Template is built with the world most Popular CSS Framework Bootstrap 4, html5, css3, Sass, jQuey and many Modern Technology Features. NIKNA Template is created and Tasted all Cross Platform Device and Browser like FireFox, Chrome, Internet Explorer. Also, validated for W3C, and Working Dynamic contact form with Ajax. Image are just used for demo purpose only. Not included in the final purchase files.